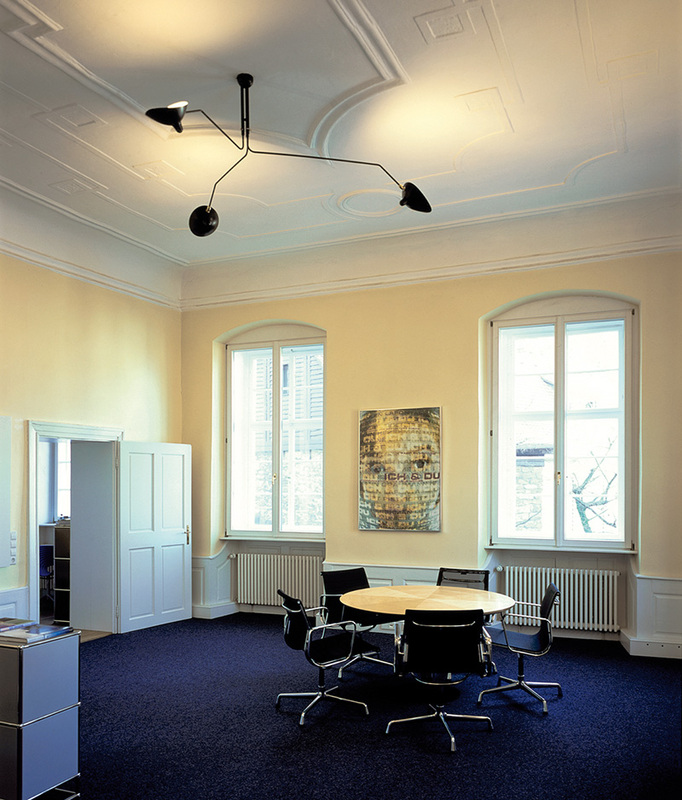 Large ceiling light with 3 rotating arms made of enameled steel and aluminium. H 60 cm, L 135 cm / 110 cm / 85 cm. 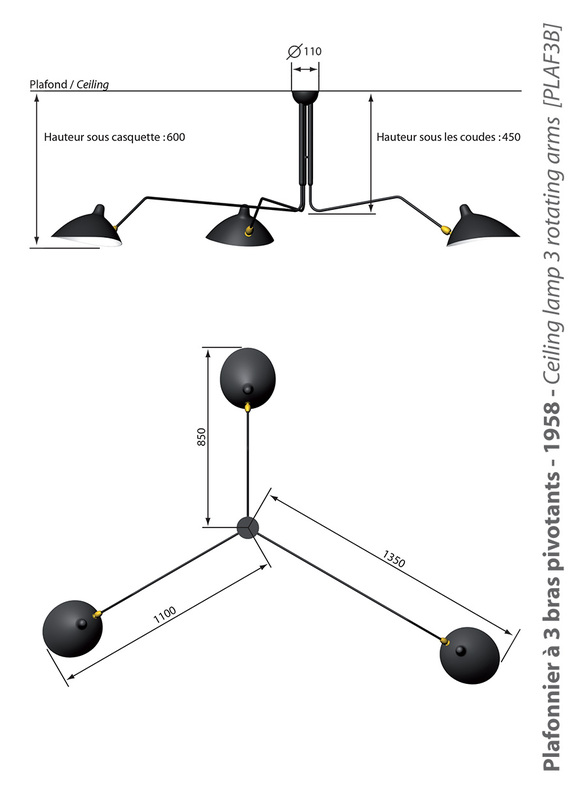 Rotating ceiling light 3 arms, Plafonnier 3 bras pivotants, design Serge Mouille. 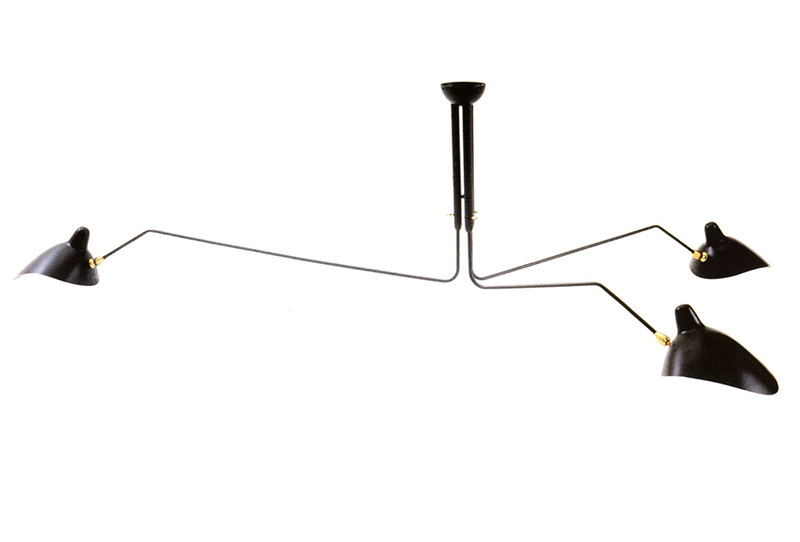 Large ceiling light with 3 rotating arms made of black enameled steel and aluminium. Also available in white. 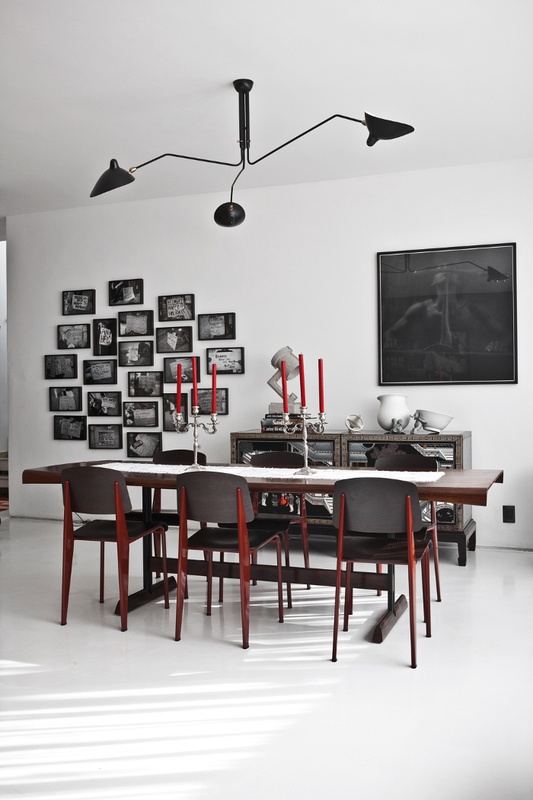 Prestigious collections of lighting designed in the 50’s by Serge Mouille and produced in France by the Éditions Serge Mouille. 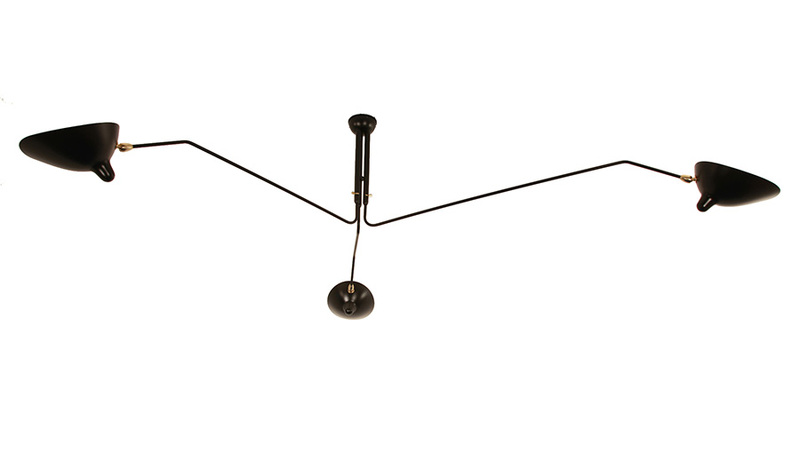 Due to the rarity of Serge Mouille lighting, his spouse Gin Mouille decided to introduce a new edition originally designed in the early 1950’s. The original precision craftsmanship is applied to this edition to maintain the integrity of the early work. Each shade is produced with the use of original moulds, proportions, materials and techniques. Each lamp is numbered and comes with a certificate of authenticity. 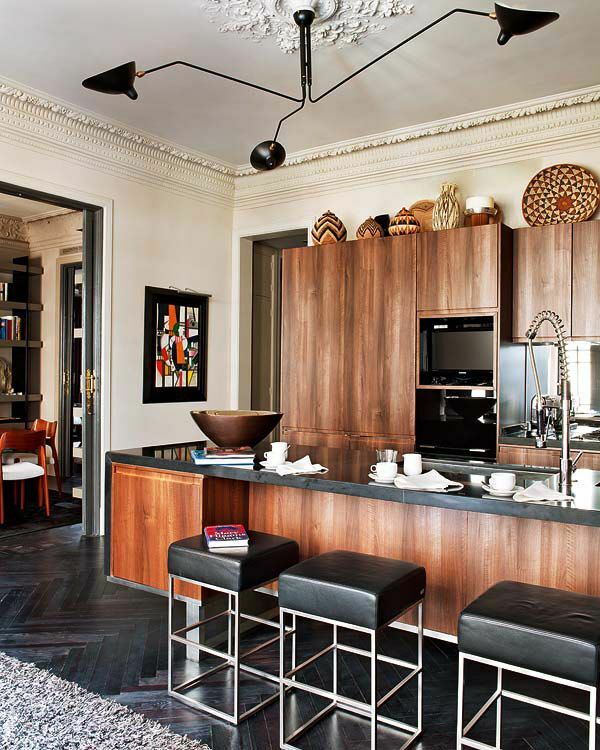 Kissthedesign is the exclusive retailer of Serge Mouille lighting in the french part of Switzerland.